InnoGames’ Elvenar is the next title facing our F2PMeter. In this browser based empire building MMO players can choose to lead their own human or elven settlement in a fantasy medieval setting. Tasked with building up your own village, advancing it to a town and even a sprawling city players must manage resources and time to construct buildings and field a military to defend their people and take down their rivals. With exciting tactical RPG style turn based combat on a hex grid, players will have to control their units using strategy and planning as they face challenging AI opponets and real world players. Elvenar is completely free to play after an initial account registration, but we look a little deeper to see just how free it really is. The game is completely free to access with your favourite web browser. Does the game require have any continued paid subscription? There are no available subscriptions within the game. There are currently no expansions or DLCs available with the game, all content is currently provided for free. Players purchase Diamonds using real cash, as well as earning them in game, to purchase a variety of Premium Currency only buildings, units, perks and speed up the time it takes to finishing building and training. Builds also have level requirements so players can’t simply buy their way to the top, and whilst Diamonds can be earned in game it is a slow process. Various boosts and boons to the players’ empire can be gained through micro-transactions, though the primary spending of Diamonds after purchasing the main premium buildings and expansions simply speeds up the building process. Not through any premium means, there are simply no options to customize the UI. Does it grant access to all the available races and/or classes? There are two primary factions in the game, Elves and Humans, and players have access to both from character creation. Does the game have limitations to how the 'Auction House'/Market/Trade system is accessed? The market building to trade research and goods with other players can be purchased using the standard in game currency. 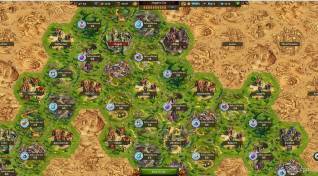 Players have restrictions in place in terms of how many buildings they can construct at once, requiring Diamonds to unlock subsequent Builders Huts that grow more expensive with each hut purchased. 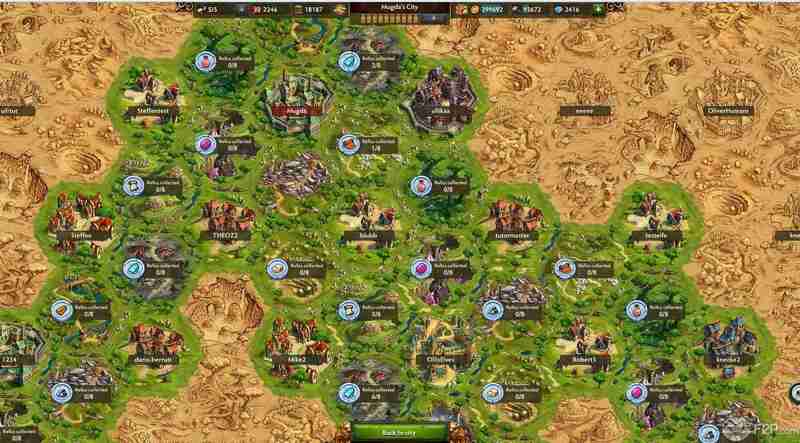 Players are limited to their available space to build their settlement, however expansions can be purchased with gold and Diamonds. The areas revealed on the world map are all accessible and there are no restrictions to locations that free to play accounts can go to. Is High-end Content (PvP or PvE raids) restricted? PVP is accessible for the entirety of the game so there are no real “end game” features that are restricted to players. Whilst the process may be a little slower and at times players reach points where they can’t progress for a while due to time, resource or gold limitations, overall the game is still accessible on a more casual level and the strategic combat is extremely fun.